We all dream about the things we would change in our home if time and money were limitless. And then there's reality, as we all have budget and calendar limitations. Maria understands these challenges. She was once the publisher and editor of a home industry magazine, Builder Design Center Magazine. Maria had a budget for her new home. And she had a list of home renovation ideas that were part of that budget. Open floor plan that's bright and airy, with lots of natural sunlight. Chef friendly kitchen where two people can work comfortably. Beautiful wood floors throughout the house. Lots of storage that's easily accessible. Maria was smart. Her housing budget had to include all these items. If a house needed the kitchen to be remodeled, the price had to be lower to support this. Today was a busy day. While the guys continued framing new walls and running electrical wiring, Maria and I got to work. She hated this old fashion “pony wall”. So Dennis decided to let Maria knock it down. I got to help too, as I was there taking photos. We didn't need to research what tools we needed to remove the wall. Maria's brother-in-law brought over the tools we used for this demo work. It was fun learning how to handle these large tools. By the time we were done, we were old friends. We also discussed more of Maria's new home renovation ideas. After spending more time in the house, she realized some windows needed to be upgraded to double pane. We had to start like you see on television, breaking up the drywall using the sledge hammer. After that it was pretty easy. We learned it was smarter to use the pry (wrecking) bar to pull off larger pieces of drywall. And here's where you really understand the role of a crow bar. We took turns carrying everything out to the truck. We had to be extra careful with the wood which had nails sticking out. Electrical wiring continued. Maria spent half the day waiting for her new cabinets to be delivered. It was exciting for her to see the cabinets for her dream kitchen because she hated her old kitchen. It was also frustrating when she could only see boxes stacked in the garage. Maria spent time shopping and making decisions. That's one of the biggest challenges with home renovations. There are TOO many decisions to make and it all happens very quickly. Decision – confirmed that she liked where the can lights are going in the kitchen. Decision – picked out the kitchen sink, and a new light to go over the sink. The slope of the roof doesn't leave enough room in the attic for a can light. Decision – finalized plans for storage in the new laundry room. She was going to put in floor to ceiling cabinets. Then her friend (that's me) suggested using base cabinets for more countertop space. Decision – picked out Silestone countertops for the kitchen. Maria learned something interesting in this search. Home Depot carries half the Silestone colors and Lowe's carries the other half. To save time, she went to Cosentio's showroom in Tempe, Arizona (learn more about Silestone). The HVAC (Heating, Ventilation and Air Conditioning) crew started work. They didn't have an easy job dealing with an air conditioning system that was 25 years old. They also found water leaking into the attic from holes in the roof. They also found electrical connections exposed which is a major fire hazard. A crane was used to remove the air handler from the roof. They also got rid of the solar hot water heater panel. And that's when they discovered the roof was in worse shape than they realized. Thankfully Maria trusts her brother-in-law, and when Dennis said they needed to replace the roof, she agreed. HVAC Problems – that were addressed when they installed the new system. Exterior part of the HVAC system, the condenser, is now on the ground to make repairs easier. 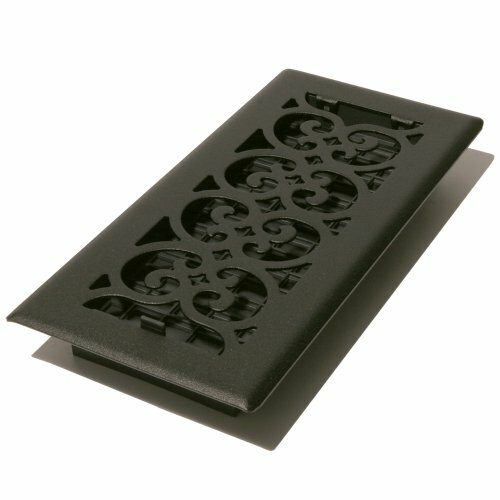 This will also reduce problems on the roof. Leaky ductwork was replaced with a larger main return, and new returns feeding in from both bedrooms. Energy Efficient Solutions – that were part of the new HVAC installation. New HVAC heat pump is SEER … oops, have to check on this. Size of the new system is 3.5 ton, compared to the old 4 ton unit. The air handler in the attic is raised so they can blow additional insulation in below it. For aesthetics they decided to get with all new vent covers. 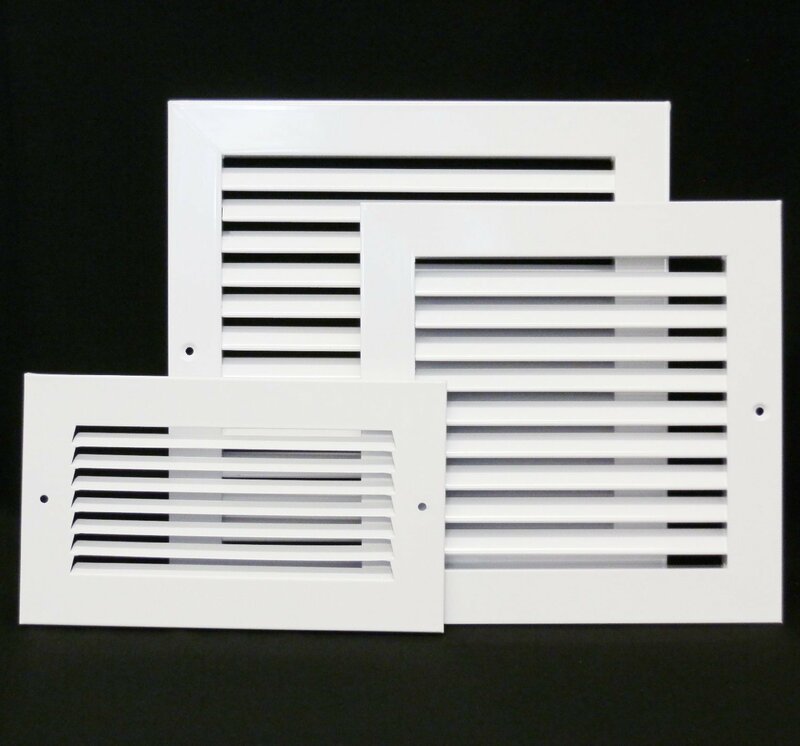 There are two different types of interior air vents. Ones on the floor or walls near the ground are used to return air to your heating/cooling system. 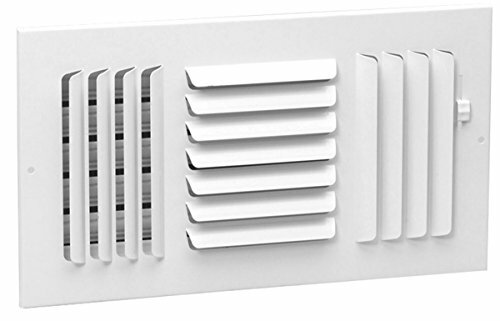 Vents high up on the wall, and most often in the ceiling, are used to distribute newly conditioned air to each of the rooms in your home. You also need to vent the attic to help the air conditioner work more efficiently. For Maria's house, they are replacing the roof vents because the old ones were rusty. Did you know these vents are called a whirlybirds? There appears to be some controversy as to whether you should use non-moving vents or whirlybirds. The concern is as that when they age, they get noisy until they finally stop spinning. You should research your options and get professional advice when determining how many attic vents you need. It's Friday and the end of another busy week of home renovations at Maria's new house in Mesa, Arizona. While Dennis and the HVAC team continued with their installation activities, Maria worked with the local cable company to get her Internet/cable lines installed. The timing was perfect because the HVAC guys were working in the attic, so it was easy for them to pull the lines. We're now at the end of week 2. You can go back to week 1, Diary of Maria's Home Renovation or continue forward (we'll add new weeks up top). We're expecting the entire project to last six weeks. Remodeling & Home Repair Estimates: Honesty or Sales Tool? I am in love with that scroll floor register you have pictured on the right in this blog! Of course, the house is built on a slab so I have no floor registers, and the bronze wouldn’t go with my brushed nickel choices and the scroll style doesn’t match the house’s modern aesthetic…but I still love it on general principles!